YUP, HUG A TERRORIST AND HAVE YOUR HEAD CUT OFF … TALK ABOUT NOT UNDERSTANDING THE ENEMY. Unreal, this is what the media actually thinks would work in deterring terrorism? Dateline, which airs on SBS, takes a look at whether terrorism can be stopped by “hugging a jihadi.” The program is run by police in Denmark’s second largest city, Aarhus, that offers radicalized Islam youths and adults a way out and the chance to reintegrate into society. What makes anyone think they want a way out? The misguided individuals behind this actually think that kindness can prevent terrorism. This might work on one offs, like what this program probably shows, but as a way of preventing terrorism widespread across the world, not a chance. Next up a look at antelopes on the Africa plains making nice with those animals that refer to them as dinner with “Hug a Leopard”. Because we all know they don’t change their spots either. Sorry, but Western Europe has so lost their way when it comes to terrorism, its frightening. Just how misguided and passive has Europe become? JAMAL was an angry young man on the verge of going to Syria to take up the jihad fight when he got a phone call which changed his life forever. The teenager had aggressively defended Islam during a high school debate and soon found himself in front of police, even though he hadn’t technically broken any law. The incident left him feeling marginalized and he began spending more and more time at his local mosque. He became so angry with society that he almost became a terrorist. 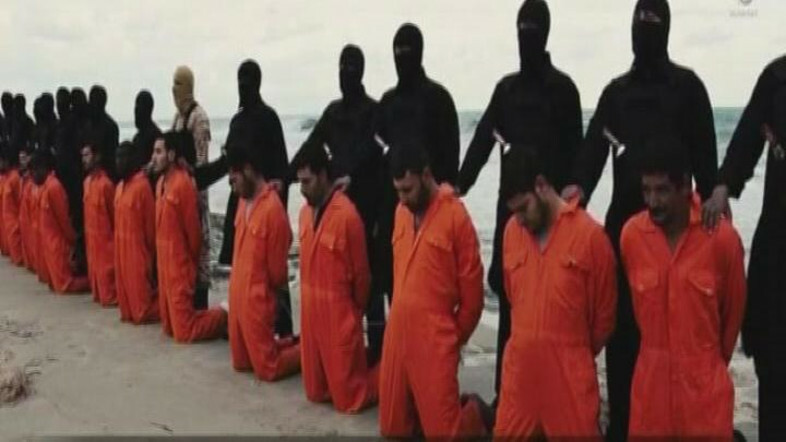 We would ask the below wearing orange suits their oping about “hug a jihadi” but they have been beheaded and are dead! “In my mind I was like, ‘they treated me as a terrorist. If they want a terrorist, they will get a terrorist’,” he told Dateline reporter Evan Williams. It wasn’t until a policeman called to apologize for how he was treated, and encouraged him to join a mentoring program, that his views began to soften. The controversial program dubbed Hug a Jihadi may sound like a strange concept at first. 19 year old Sevdet Ramadan Besim has been charged with plotting to target police with a kangaroo packed with explosives in an ISIS terror attack in Melbourne, Australia. According to prosecutors, the teenager discussed packing a kangaroo with explosives, painting it with the ISIS symbol and setting it loose on police. Prosecutors also accuse Besim of communicating with a teenager overseas, as well as planning to run over and behead a police officer on Anzac Day. “The conversation continues with Besim detailing what he did that day and they have a general discussion around animals and wildlife in Australia, including a suggestion that a kangaroo could be packed with C4 explosive, painted with the IS symbol and let loose on police officers,” the summary says. 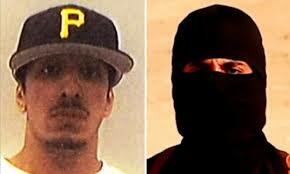 U.S. officials are saying that the ISIS terrorist, Jihadi John, was killed in a U.S. airstrike Thursday night in Raqqa, Syria. The ISIS Muslim jihadist whose real name is Mohammed Emwazi was thought to be hit as he left a building in Raqqa, Syria and entered a vehicle. Pentagon Press Secretary Peter Cook stated, “U.S. forces conducted an airstrike in Raqqa, Syria, on November 12, 2015 targeting Mohamed Emwazi, also known as ‘Jihadi John.” The ISIS executioner was responsible and seen in many videos murdering innocent. “U.S. forces conducted an airstrike in Raqqa, Syria, on Nov. 12, 2015 targeting Mohamed Emwazi, also known as ‘Jihadi John,’” Pentagon Press Secretary Peter Cook said. The PJ Tatler opines, the death of Jihadi John could have come to a nicer guy … AGREED!